Misfit's first foray into a full-fledged smartwatch, the Misfit Vapor, has hit a slight snag. Originally planned for a release before the end of September, the fitness tracker firm announced that its Android Wear 2.0-powered wearable will instead release in October, reports The Verge. This makes for a negligible delay of about a month or so. Misfit is apparently not changing anything else about the Vapor aside from its release date. Unveiled during CES 2017, the Misfit Vapor features a 1.39-inch round AMOLED display, Qualcomm Snapdragon Wear 2100 chipset, 4GB of storage, 400mAh battery and Bluetooth/Wi-Fi connectivity. In addition to specs, the Vapor is competitive with other Android Wear devices on the market in terms of price, releasing at $199 (about £160 / AU$270). 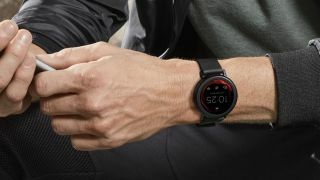 While we see the Misfit Vapor delay as nothing to panic over, we can only wonder if smartwatch fans excited for the round wearable will be as patient, considering the sheer number of viable Android Wear watches out there.